Your roof is one of the most important parts of your home or business – if you’re not scheduling regular cleanings and maintenance, you’re doing your family or business a disservice. Without regular upkeep, your roof can become susceptible to leaks, damage, or other serious issues that can impact the integrity of your roof. Whether you’re looking to service your residential roof or a large commercial roof, there’s no project that our team of experts can’t handle. We always suggest regular upkeep, and the team at Pressure Cleaning Sydney can help protect your roof against any potential issues. Depending on the type of material you used for your roof, repair and replacement costs can get out of control – why not spend a fraction of the cost by hiring a professional roof restoration team? We believe in a holistic approach to roof care, meaning we want to ensure that your roof is going to last for years to come. From roof restoration to building washing and everything in between, there’s nothing our team can’t do. 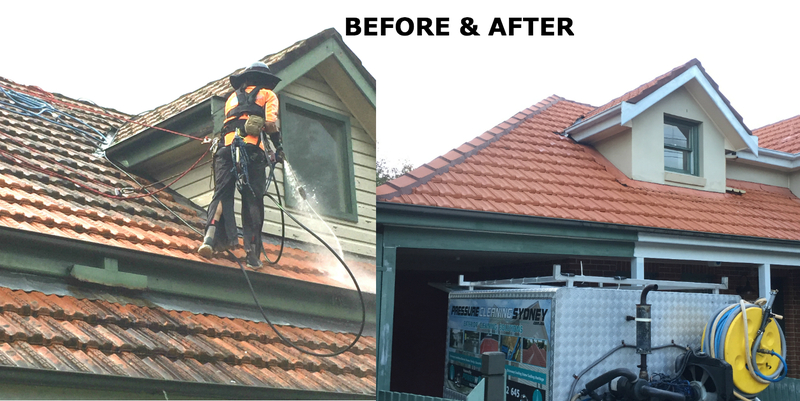 So whether you’re a business owner looking to improve the look of your building’s exterior or a homeowner needing help with your roof restoration, contact the team at Pressure Cleaning Sydney today!